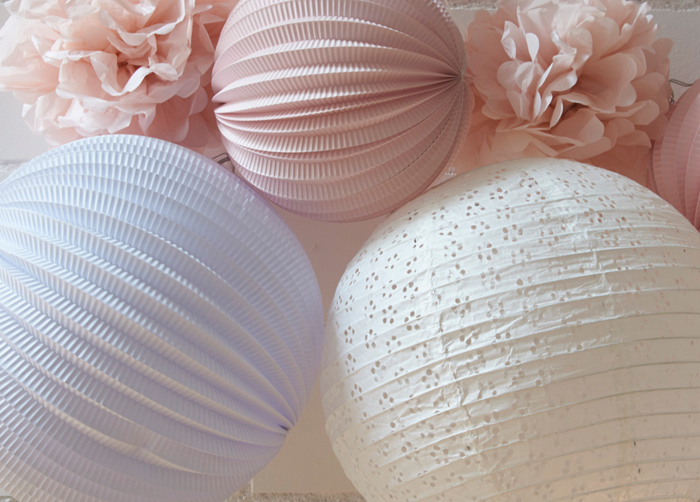 Pink and pastel paper lanterns ready to hang in the nursery! 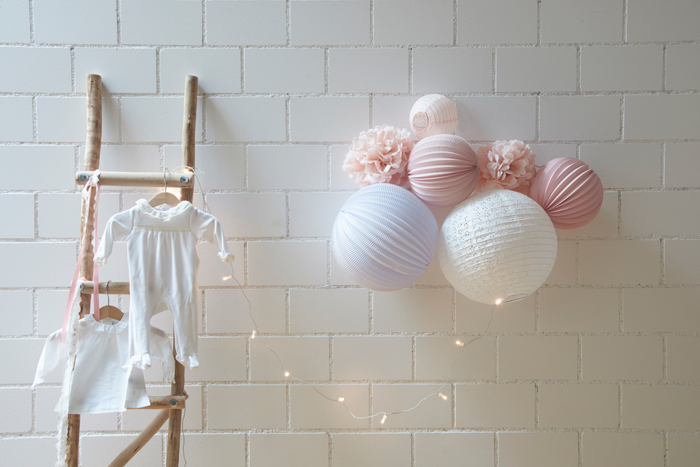 Ok now that’s the perfect Christmas gift for a future mom, or a great baby shower present for anyone expecting a baby girl. 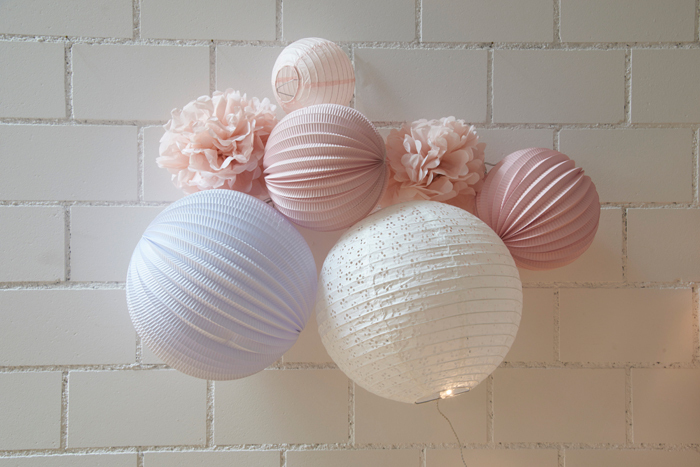 Our new paper lanterns kit LOUISE with its soft shades of light pink and white is totally romantic and shabby chic. 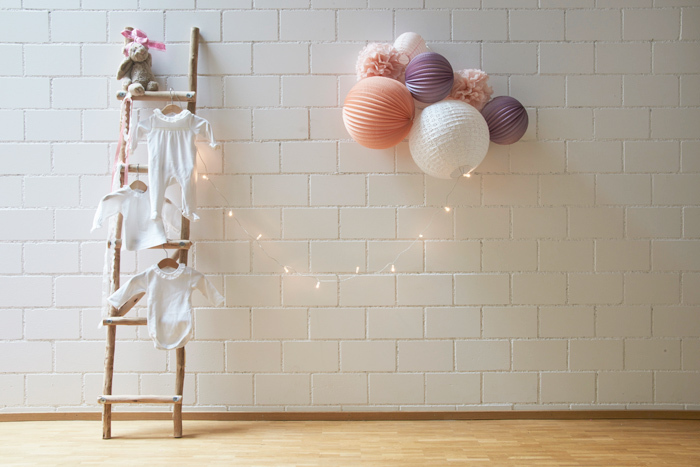 Like the rest of our paper lanterns kits range, this kit includes paper lanterns, a length of twine and hook + nail for hanging. 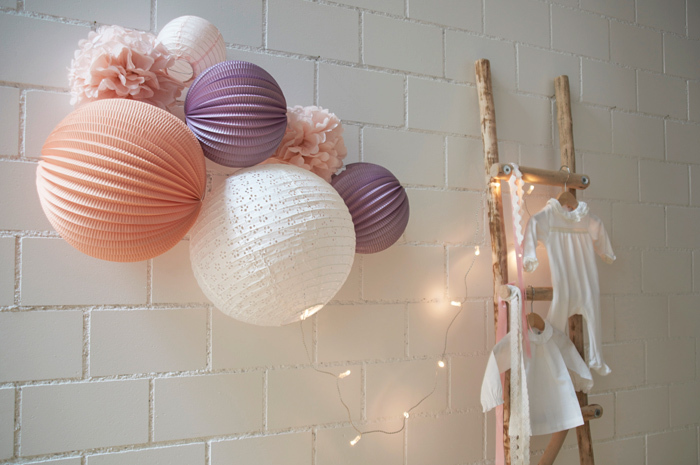 And if you still have doubts regarding how to easily hang paper lanterns to the wall, here’s a quick 101 to help you. 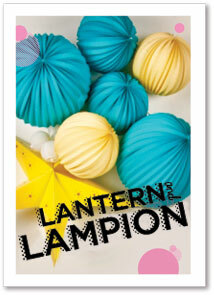 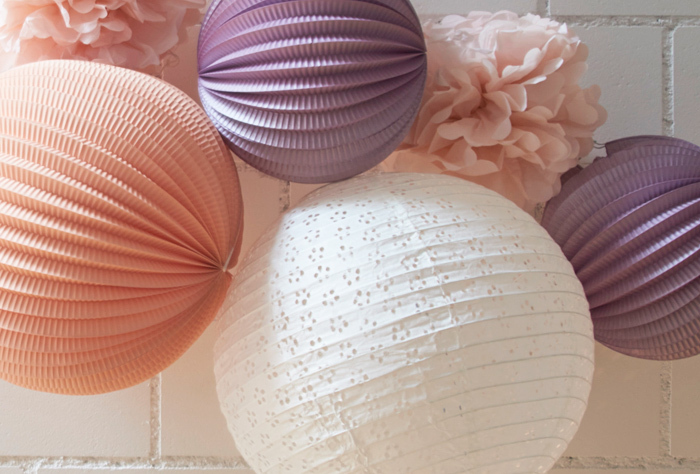 Check out more home decor gifts and paper lanterns kits in our store now!